One Legal — How do I update my email address? At the very top right hand corner of your screen, click on My Account. 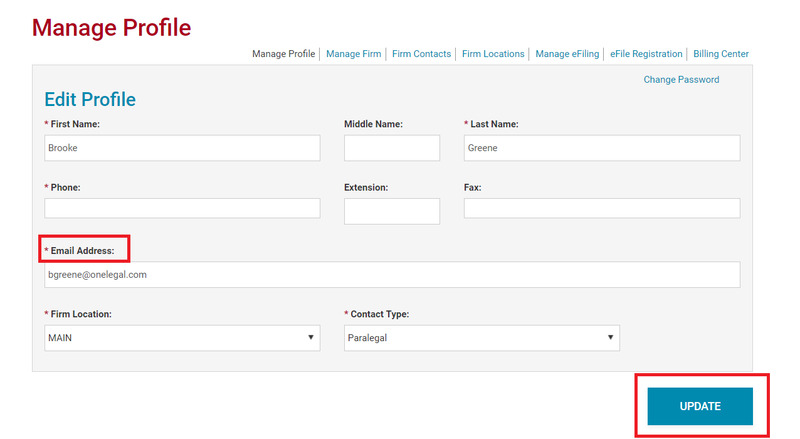 You may update your email address on the Manage Profile page. You may also update your name, phone number and other information on this page. You email address is now updated. How do I bookmark my exhibits?